The Phoenix Suns came from 10-points down in the fourth quarter to knock off the NBA leading Milwaukee Bucks 114-105 on Monday night. It’s the first time all season that the Bucks have dropped back-to-back games. Kelly Oubre Jr. had 27 points and 13 rebounds, Devin Booker added 22 points and Deandre Ayton had 19 points and 12 rebounds to lead the Suns, who have the league’s worst record. They’ve also beaten the Bucks in both meetings this season. Giannis Antetokounmpo had 21 points and 13 rebounds, and Malcolm Brogdon added 19 points for the Bucks. Milwaukee led by as many as 16 points in the first half before falling behind by three points in the third quarter. Another Bucks charge put them up 10, but they couldn’t hold it. After losing 17 straight games, the Suns have now won three of their last four. The Bucks return home to Milwaukee to host the Indiana Pacers at Fiserv Forum on Thursday. Playing shorthanded, the Milwaukee Bucks knocked off the Phoenix Suns 113-107 in overtime on Wednesday night, ending a two game losing streak. The Bucks played without starters Giannis Antetokounmpo and John Henson, as well as reserves Mirza Teletovic and Matthew Dellavedova. Khris Middleton hit 14 of 26 from the field and finished with 40 points, while Eric Bledsoe returned to Phoenix and scored 30 points against his former team. Thon Maker also added career highs of 16 points and eight rebounds. DeAndre Liggins collected five of Milwaukee’s 16 steals on the night as the Suns turned it over 29 times. It was Liggins, who scored his first basket on a shot clock buzzer beating jumper in the overtime to give the Bucks the lead for good. Former Bucks big man, Greg Monroe finished with 22 points and 15 rebounds against his old team. The win was the fifth straight for the Bucks over the Suns and third straight in Phoenix. The Bucks are off until Saturday night when they take on the Utah Jazz in Salt Lake City. 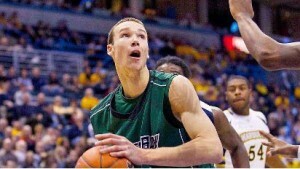 Former Green Bay Phoenix standout center Alec Brown will make his debut tonight when he suits up for the Bakersfield Jam of the NBA Development League. The Jam will play host to the Los Angeles D-Fenders. Former UW-Green Bay center Alec Brown is expected to undergo surgery on Thursday to repair his dislocated shoulder. Brown, who has battled shoulder problems during his collegiate career at UW-Green Bay, is expected to miss 3-4 months to rehab. Brown suffered the injury last Friday in NBA Summer League play in Las Vegas. He met with Phoenix Suns team doctors on Monday. The Suns selected Brown in the second round (50th overall) of the recent NBA Draft. Brown is expected to make a full recovery.